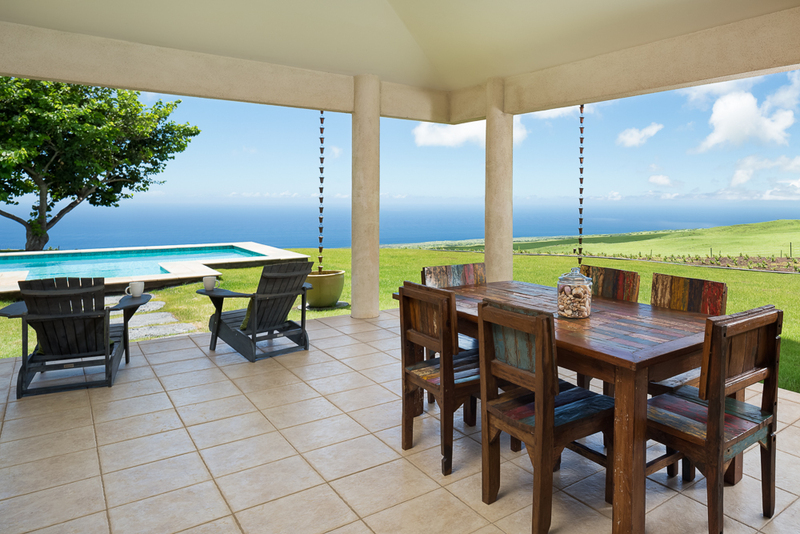 Newly remodeled and impeccably decorated, this stunning home with gated entry is privately located in Kohala Ranch and features unrivaled panoramic ocean views. Bright and airy, the main house encompasses 3500 sqft of indoor living space plus multiple outdoor lounge areas in a serenely secluded setting. 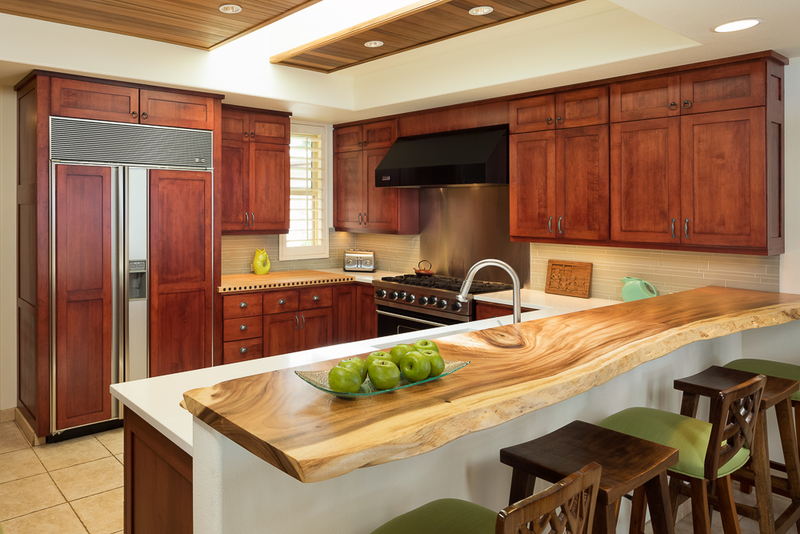 The fully-equipped gourmet kitchen has top of the line appliances, including a 6 burner Viking professional gas range and a Sub-Zero refrigerator, and offers everything you need to create an amazing Hawaiian feast. The dining area has seating for 8 and the counter top bar can hold up to 5 people, plenty of room to host the whole family. The kitchen and dining area open up into the living room which boasts a large comfy couch, allowing for great gathering opportunities. 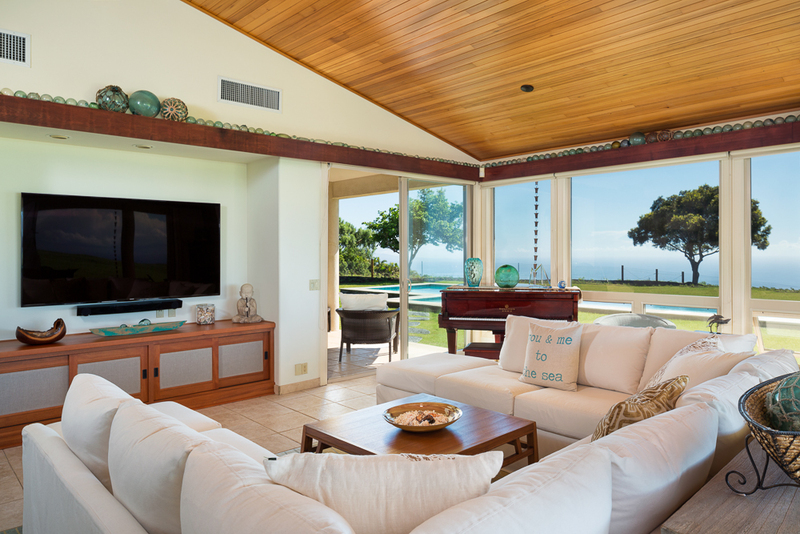 Behind the couch, the entire wall opens up, leading to an additional outdoor living space and a dining table for 6 over-looking the pool and the deep blue waters of the Pacific Ocean. There are three bedrooms, 2 King beds and 1 Queen, all with ensuite bathrooms that each have jacuzzi tubs. The office offers extra sleeping space if necessary with its Queen sleeper sofa. 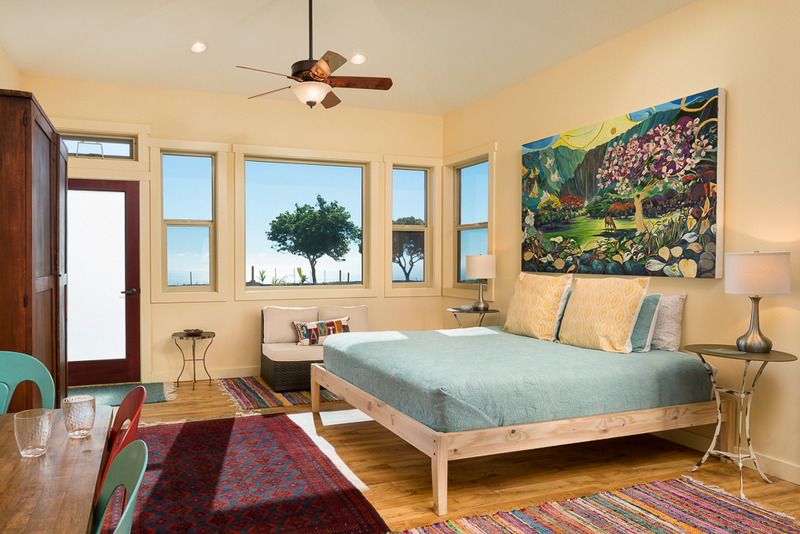 The beautifully decorated rooms all have hardwood floors and offer separate entry to the outside. Luxurious cotton linens and towels make your time here even more enjoyable. The guest house house has a mini-fridge, microwave, coffee maker, and toaster. There is a King sized bed in the sleeping quarters as well as a half bath and an enclosed outdoor shower. The outdoor lounge areas, the olympic length pool, and the epic views make this home extra special. Whether you choose to swim laps in the salt water pool, sip a cocktail from a chaise lounge, or soak in the hot tub, you can't go wrong. This is relaxed luxury at its finest set in the most beautifully private and serene location. Elevation: 1800ft. Average temp in January during the day is mid 70s to 80. Distances: 3 miles up from HWY 270 and then 2 miles across the ranch. 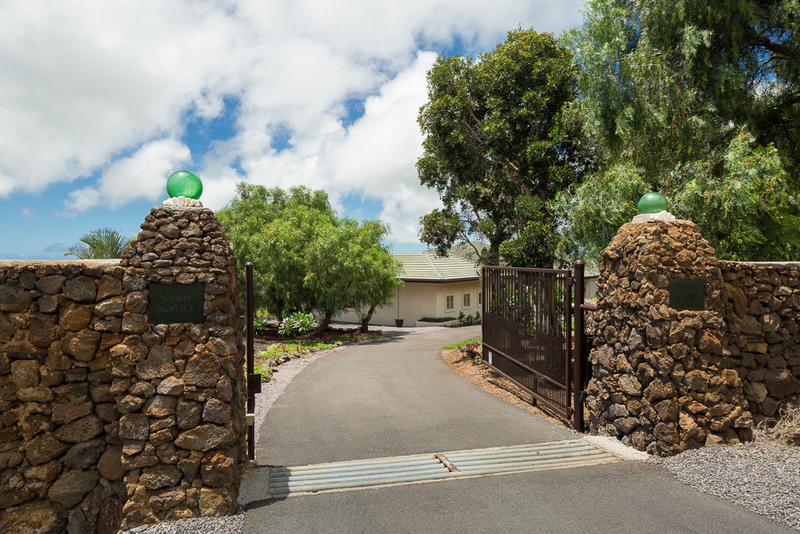 15 minute drive to get to the Mauna Kea and Hapuna white sand beaches and golf courses. Grocery and Restaurants: Waimea town offers two large grocery stores along with organic and local farmers markets. The resorts for fine dining is just a 15 minute drive. Rates: $700 per night for guests up to 6. Additional guests are charged at $75 + tax per night for a maximum of 10 guests. For groups of 6 or less the cottage will not be available for guest use. The home was perfection, the staff was helpful This was the nicest home we have stayed in on the Big Island! The jacuzzi worked which was amazing! Huge pool. Gorgeous views. Aloha! Thank you for your great review and recommendation. 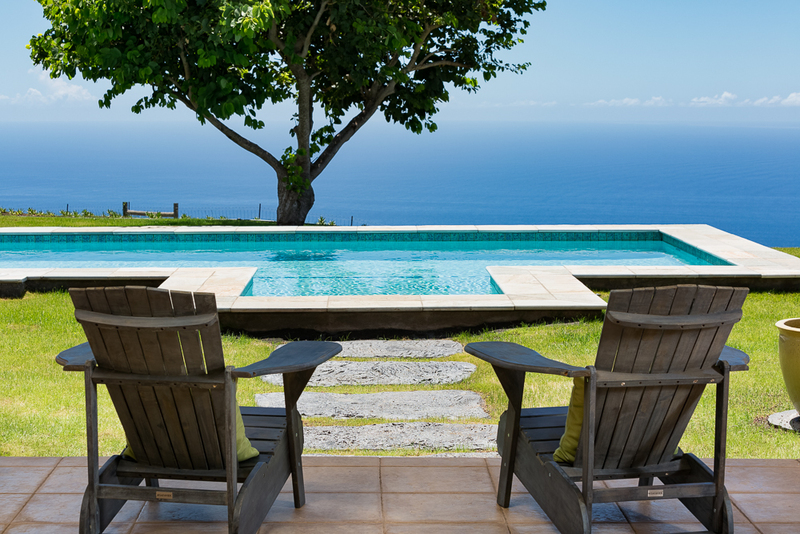 The team here is Hawaii Life Vacations is so pleased we could be of assistance during your stay and thrilled you enjoyed your home-away from home on the Big Island! We agree, the jacuzzi feature is so nice and it's great you were able to make us of the pool as well. We hope you had everything you needed for a relaxing and memorable stay. Mahalo for being such pleasant guests and we look forward to seeing you again on your next visit! Aloha! 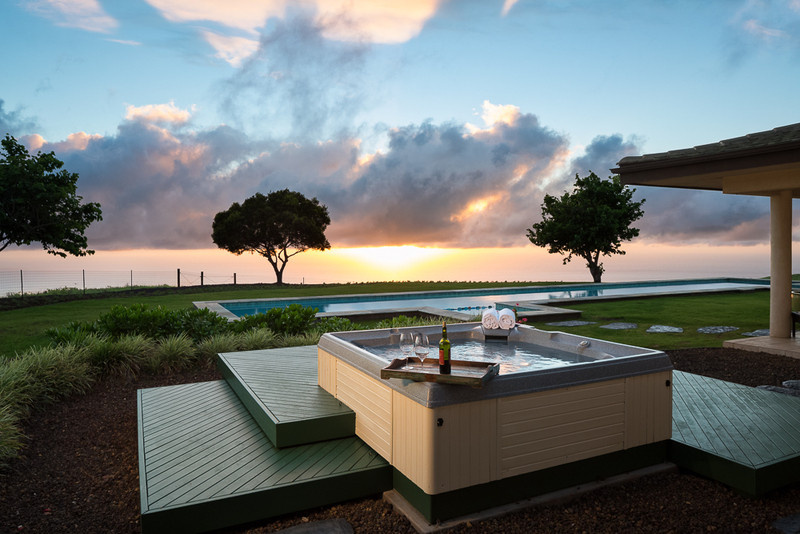 We are so happy to hear you had an amazing experience at Hale Hokuloa! The ocean view is truly a special feature and it's so lucky you were able to watch the whales every morning! It sounds like you had everything you needed to enjoy your stay and we appreciate you being such pleasant guests. 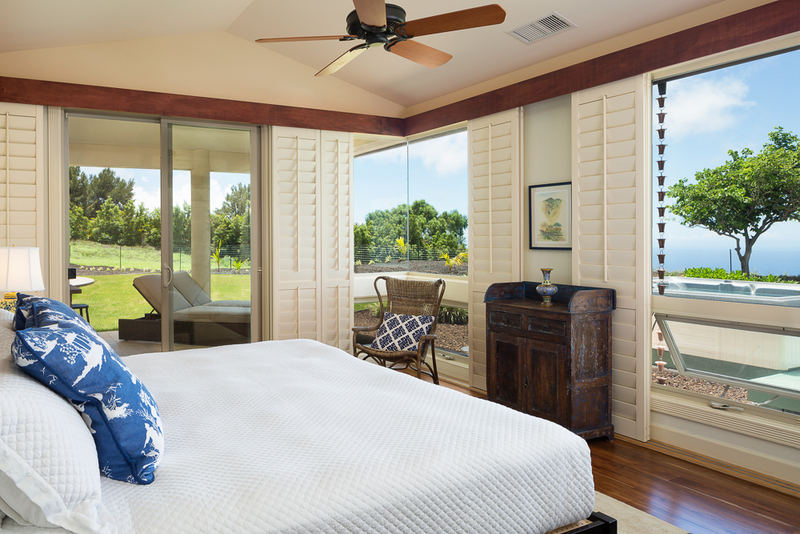 Mahalo for the excellent review and recommendation! We look forward to seeing you again on your next visit. Four couples, ages 55-65, enjoyed this spectacular property for a week in January, 2017. We enjoyed coming together in the spacious, comfortable great room and we appreciated having our own suites as couples. 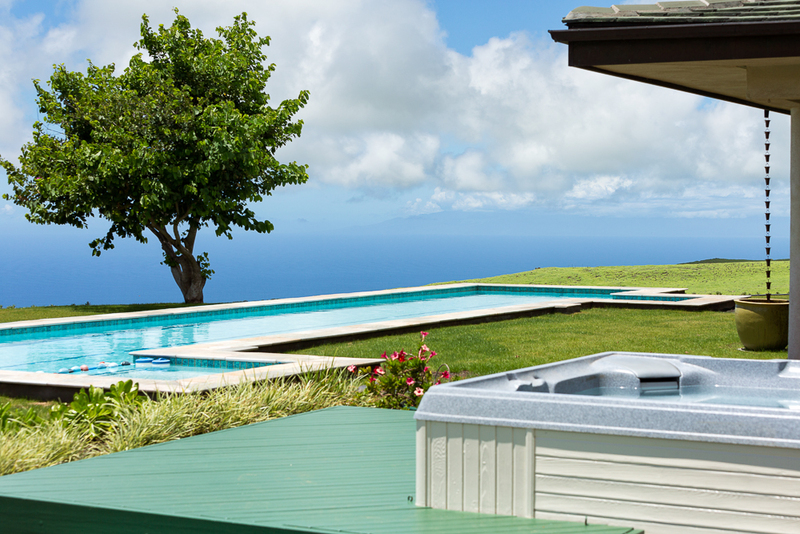 The view was magnificent and we took full use of the many lanais, the pool and the hot tub. If you want to be out of the tourist hubbub, enjoy cooking together and want luxurious accommodations, this is a perfect option! 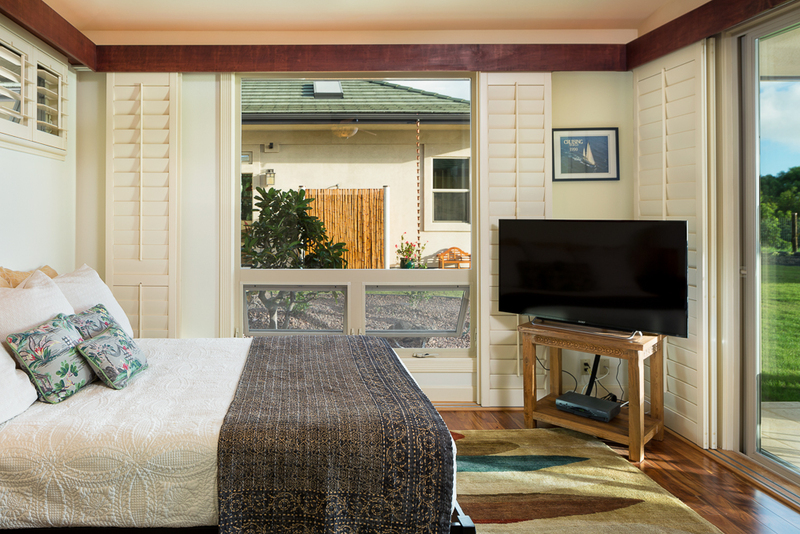 Aloha, Great to hear you enjoyed this property and all of the couples had plenty of space. We are happy you were able to partake in the property amenities and enjoyed the location! We look forward to seeing you again soon on your next trip to Hawaii! This gorgeous home with mature landscaping has beautiful sweeping views, including incredible night skies, located up high from the ocean. Our extended family of 8 loved the privacy and quiet of the ranch development though some planning needs to go into various outings since it’s about 15 minutes inside the vast ranch area. Sweet families of cows, an occasional chicken and peacock were about our only company on the roads. The home is really well-stocked with supplies, and we especially appreciated the kitchen and dining spaces as we like to cook. The solar heated pool can be chilly when there are cloudy skies, though my brother and I swam laps anyway then jumped in the hot tub. The wi-fi signal was weak in the outer bedroom, and absent in the guest house - not an issue if you’re having an unplugged vacation - unfortunately, we had some urgent family biz to take care of, so would congregate in the main great room for that. We drove to the southern gate for our beach outings, and to the northern gate for our usual visits to Hawi, Honokaa, Waimea, and Hilo. Mahalo nui loa! Aloha! Thank you so much for the great review and recommendation! We are so happy to hear you and your extended family of 8 had everything you needed for a pleasant stay! It is wonderful you were able to utilize the kitchen and dining spaces as well as some of the other amenities, like the pool and hot tub! Although having an “unplugged vacation” may not suit everyone, we are pleased to know this did not take away from your experience. It sounds like you were able to explore the surrounding areas and we hope you were able to make some lasting family memories together! We appreciate you being such pleasant guests and we look forward to seeing you again on your next visit. The unanimous verdict of our brief vacation stay at the said property was extremely satisfactory. It exceeded our expectations. The place and location were absolutely perfect. The views and the cool highland weather, despite no air conditioning, were acceptable to everyone. House was immaculately presented. Darrell Lapu Lapu was highly attentive of our needs and should be congratulated. Definitely worth coming back to and will certainly recommend the same. Our activities centered around the north Kohala area as the other family members were close by in Hapuna. While we did not get to drive to Mauna Kea ( overcast and rainy ), Kamuela, Hawi and the luau were special activities. Aloha! We are so happy to hear that your group had a great stay with us and that Darrell was available for you and attentive to your needs! It sounds like every one was comfortable and satisfied with the location and amenities Thank you for your excellent review and recommendation and we look forward to seeing you and your family again soon! Ok...the review is a little late but all i can say is WOW!! The home is so much more then the pictures can say. We had a party of 9 (3 married couples and 3 single people) with us for a "retreat" and that is exactly what it was. It seemed like we were the only ones for miles once we were in the home - the view is amazing every moment of the day - the house is thoughtfully put together, the bedding is many little details we encountered that we actually just stayed at the house for our entire trip except for one morning. At night the star game is on point!!! I enjoyed working with the property management company as we flew in late and we arrived to the home opened up for us with the lights turned on and the jacuzzi hot and waiting for us.......SOOOO AWESOME!! Aloha Gretchen! Sounds like you had such a terrific stay at Hale Hokuloa! We hope to get the opportunity to host you again in the future! We had a good time in our stay in Hale Hokuloa! The pool was very long so we enjoyed so much. And, the location was great too.we saw rainbow many times. Also,we saw many cattles there and they were very friendly. We want to go there again! Aloha Tatsuo! Your review makes us happy! Come back soon!